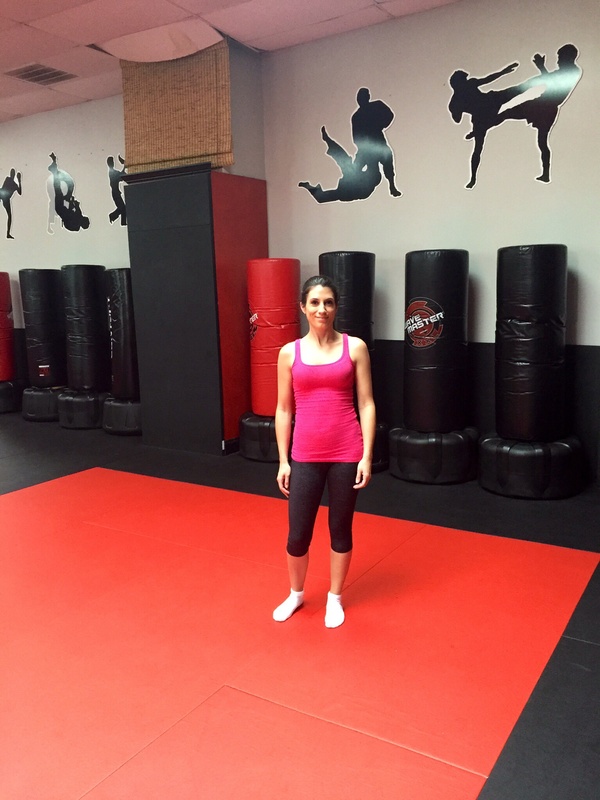 Over the weekend, I tried my first kickboxing class. Let me just say — I might be hooked. It was such a great workout (even though I thought I was going to pass out after five minutes of rigorous exercise). 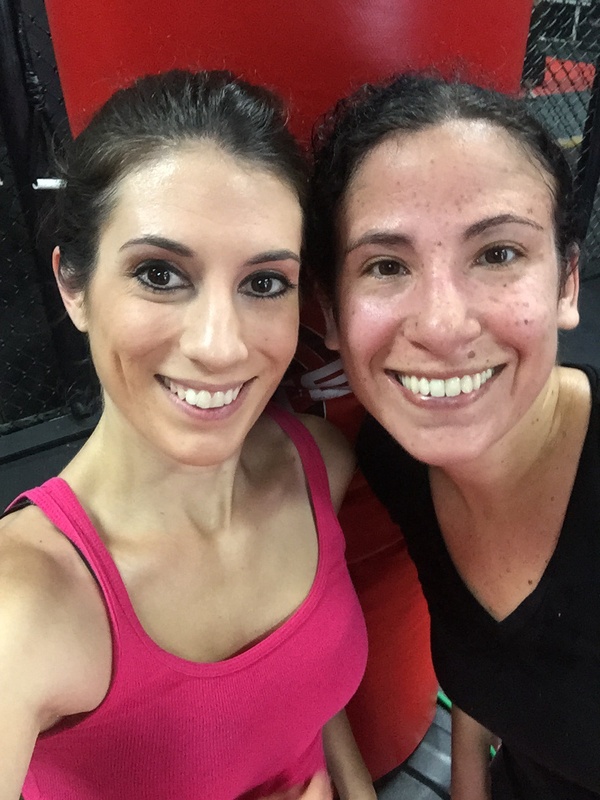 My friend Fran, who has been taking kickboxing classes for a while at Victory Mixed Martial Arts (VMA) in West Islip, New York, invited me to join her. It’s something I’ve always wanted to try, so needless to say, I was excited. I knew I was in for a workout, but really wasn’t sure how intense it would be. Our instructor, Charlie, had us begin by running around the perimeter of the studio to get our heart rates up. Loud music got my feet moving fast, and within a few minutes I realized that I was fairly out of shape. After our “warm-up” run we did a series of jumps, squats and push-ups before securing our spot with a free standing punching bag. We started off with some right-left punches and gradually added in upper hooks. Next we incorporated kicks into the sequence. This works your whole body, and midway through, I could feel my arms and legs becoming sore. 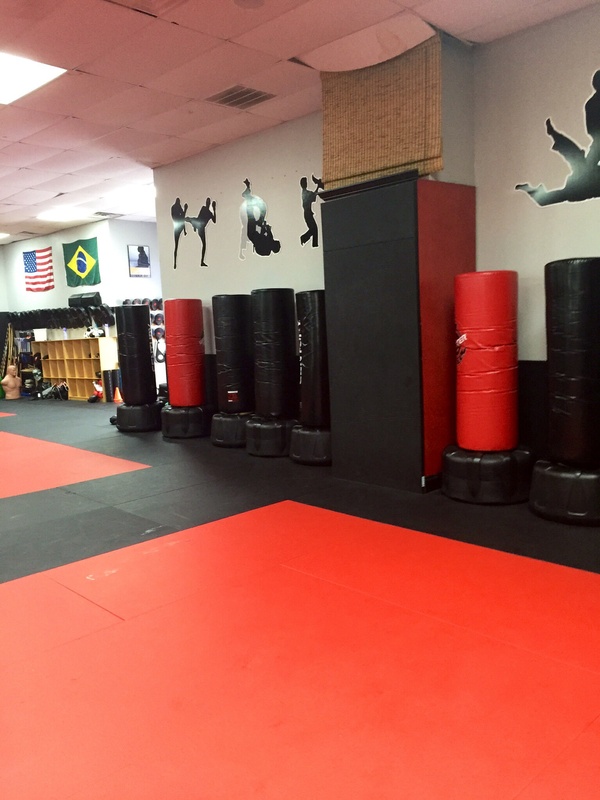 For the last part of the class we worked with a partner on the punching bags and each took turns punching or kicking for ten reps while the other person spotted the bag. Lastly, we used a resistance band around the base of the punching bag and did sit-ups while our partners gripped our legs. The final minutes were spent on working and maintaining a strong core through leg-lifts and scissor kicks. Bring water. I forgot to remember this helpful bit of advice that applies to 100% of fitness classes. Thankfully, Fran was kind enough to think of me and brought along an extra bottle (thanks, Fran!). I chugged a lot of water throughout the class, so it would be wise to have one or two on hand. Wear comfortable clothes. Kickboxing works your entire body, so wear something that moves easily and is lightweight. Bring hand sanitizer. Unless you own boxing gloves, chances are you are going to have to use the ones at the studio. Just in case there is no hand sanitizer provided, you might want to have your own supply. Wear sticky socks. Since there are no shoes allowed on the mat, I opted to wear my socks, which made the run part a bit challenging (especially around the turns). You might want to wear socks with some grip so you don’t slip on the mats if you opt to leave them on. Do what you can. This was a small class, but there were clearly people well more advanced than I. It’s easy to want to give it your all, but listen to your body if you feel you need a break. As a workout, this class was fabulous. There was so much energy in the room that the time went by quickly. Charlie did a great job going through the sequences and motivating us throughout the class. I am looking forward to getting fit with kickboxing and making this class a weekly occurrence. Sounds like such a good time! I would love to get into kickboxing! One of my friends is really into kick boxing and she’s always trying to get me to go. Great tips! I’m sure they’ll come in very handy!